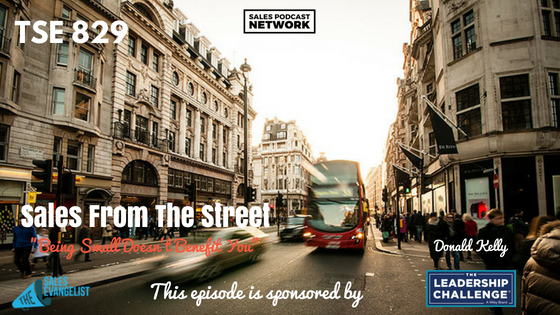 TSE 829: Sales From The Street-"Being Small Doesn't Benefit You"
I spent too much time thinking small: failing to try new things for fear that I wouldn’t be good at them. It wasn’t until friends in my Mastermind group challenged my thinking that I realized that being small doesn’t benefit anyone. Today on The Sales Evangelist, we’ll discuss how small-mindedness can hurt you, and how you can provide value to your customer if you’ll push past that kind of thinking. 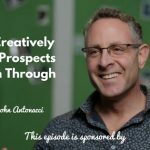 For years, I believed that social selling wasn’t for me, because I wasn’t charismatic or beautiful enough to make videos or create other visual content. Furthermore, I believed that if I did create content, trolls would come out of the woodwork and sharpshoot my efforts. If that happened, their criticism would send me running back to the safety of my cave. Finally, I believed that I didn’t have anything of value to offer. I didn’t believe I was capable of social selling. Even with the launch of this podcast in 2013, I was plagued by thoughts that I didn’t have enough time or adequate equipment to generate videos. I didn’t have the capability to edit them and I didn’t have enough content. When my friends challenged me to share just one thing on social media, I created a video that didn’t get a lot of attention. That video prompted me to compare my own work against other content that was out there, and I was immediately tempted to stop. It took me a while to realize that you’ll rarely be successful on your first attempt at anything. At some point I realized that YouTube is the second largest search engine in the world. I also realized that by failing to take advantage of its audience, I was passing up opportunities. I bought myself some inexpensive lighting and a small camera, though I could have accomplished the same thing using simply a cell phone, and I got to work creating videos. Surprisingly, no one criticized my appearance in those videos and no one challenged my content. In fact, they liked what they saw, which propelled me to create more. When I committed to do Facebook live segments, I discovered that people were really watching them. One day when my broadcast was a few minutes late starting, a group member messaged me wondering why he couldn’t see the content. It occurred to me then that, if I hadn’t generated that content, at least one person would have missed it. 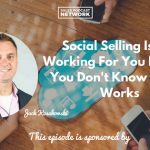 So how does social selling help your business? People see your expertise in a different medium than usual and they have a chance to evaluate your content. Instead of simply trying to convince them to buy my product or service, I can use social selling to prove the value of my content so they’ll be more inclined to take the next step. Think of how many YouTube videos you have personally watched, and the value they have provided to you when you were trying to fix something or solve a problem. Figure out your prospects’ frequently asked questions, and begin with a simple video answering those questions for your audience. Being small doesn’t benefit you and it only serves to cripple your efforts. Get rid of thinking that says you’re not capable.